This Easter we decided to have a little fun at The Real Mary King’s Close, as we hosted our first ever egg roll on The Close. The tradition of rolling hand decorated eggs down grassy hills goes back hundreds of years, and has always been about having fun – first by decorating eggs and then by rolling them. The winner is the egg that travels the furthest and survives with the least amount of cracks. Did you know, egg rolling is a global tradition? Since 1878, American presidents and their families have celebrated Easter Monday by hosting an ‘egg roll’ party. Held on the South Lawn, it is one of the oldest annual events in White House history. 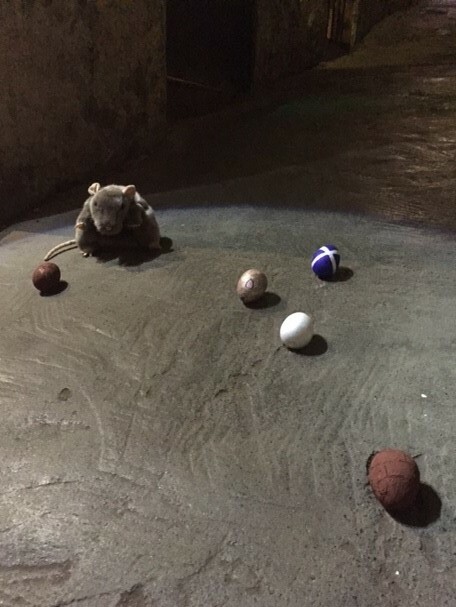 We decorated our own eggs, and rolled them down the subterrean cobbled streets of Mary King’s Close. Although these eggs were not made of chocolate, they were still pretty sweet – they were decorated to represent the historic site including a Cobbled Street, Plague Doctor, rats, Mary King’s Close buildings. When you’ve finished rolling your eggs, why not have a day out in Edinburgh over the Easter holidays, and join our character guides on a journey through hidden streets and uncover Edinburgh’s incredible past. The Real Mary King’s Close is a time capsule of closes, or narrow streets, with real town houses and rooms dating back to the 1500’s. These streets were once open to the skies before they were closed and used as the foundations for the Royal Exchange, now the City Chambers. Families visiting The Real Mary King’s Close will be able to save with the family ticket which is based on admitting 2 adults and 2 children. A family ticket is £39.95. Pre-booking is strongly recommended and advance bookings can be made by calling 0131 225 0672, online at www.realmarykingsclose.com or in person at the attraction. *Due to the nature of the site, this tour is not available for children under 5yrs. A child refers to those aged between 5yrs – 15yrs.